Audity 2000, Digital Synth Rack/Sound Module from E-MU. 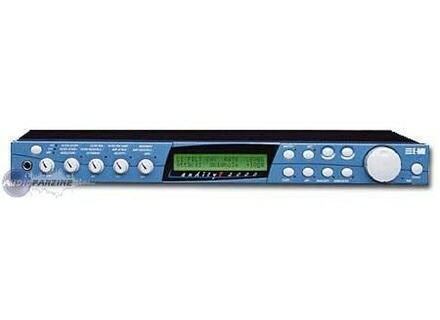 The Audity synthtiseur 2000 is a form of expander-based multilayer Wave table (known as multi timbral) and have the know-how E-mu. 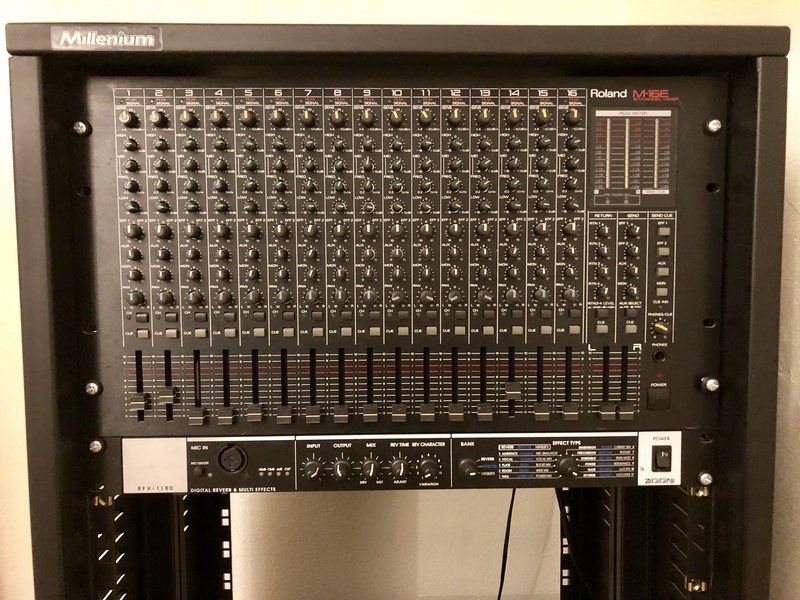 Depending on the version of the expander, it has a 32-voice polyphony (64 votes for version 2). His arpgiateur is complete and trs trs labor. It produces both Młoda that rhythm parts. It's possible to play simultanment up 16 arpgiateurs simultanment. It possde April 1 buttons in CONTRL CONTRL facade that allow up to 12 paramtres in real time. It possde 6 outputs and output numrique. The sample set is of great quality it has a shuffled know Mo Phatt, Orbit and Proteus 2000. The filters are not aggressive, but he benefitted from the Z-morph and 12 pole filters. If you are your habits with expanders such as E-MU Proteus Orbit or the operation is exactly the same. And biensur, like all E-MU sound modules, it can receive a suplmentiare ROM sounds. Personally, the Audity 2000, in the version is 1.00, with its polyphony of 16 voices is enough even to him. The editing features in real time are very practical. As for its operation, it is fairly simple and well thought. Fast Fashion patch for the sound, he sytme Submitted on 4 layers of modular stackable and which areas are layers parameter. For cons, the temperatures requiring read the instructions because the expander as a fairly compact, it does not have srigraphie to inform of possible functions. You have to juggle your jog buttons and the main facade. The E-mu exapandeurs have a formidable running ergnomie found on a wide range of their product. Which if you had a dj expander E-mu in the hands, you'll have no difficulty on matriser. The Audible is really high quality. The rhythm section has an impressive and dynamic layers of synthse are simply superb. Curiously, despite his age (1996), has given the Audity an original and a new "color" Audible in my environment that I have not found with other machine. The only regret is that the pitch varies by only + / -7 semitones. Can do a desire not to "dnaturer" the original sound. Finally, MIDI controllers do not follow the General MIDI standard. (For example, the cutoff is 21 instead of 74). So it ncessite a small gym adaptation MIDI controller. I prcise the MIDI implmentation is complte. This module is not made out of sounds aggressive but plutt hypnotic patterns or layers of high quality. E-mu has a grain of his Yamaha, Roland and Korg do not exactly possde. That is why I chose this since I use MODEL December 2004. Finally, I am fully satisfied with this product even if I have not done all around. I would add is that they are not a bank but Wavetable sample of 'ordinary' (no summary to the Korg Wavestation or the Waldorf). A small note again: Beware of the adjustment knob that as the full range EMU is fragile and capricious ... so check before buying! No comment is the EMU: a clear and irrefutable logic even if programming via the menus is not always very friendly ... Having said that still allow the knobs to make it easier to some extent even if it's in a game in real time they take their full dimension! For a sample player we still Largent did worse! For sound I Dedis this machine to tablecloths and sequences. Leads can be quite acceptable but the relative softness of the filters does not 'have to tear everything goes' and I would say it is rather in the register of hypnotic sequences / pads heady she excels. The delusions can arpeggio quite interesting and the fact that most of the controllers can etrent synchroniss can make sounds scalable wish! Excellent for Ambient passages or fill 'holes' in a piece a little empty, minimalist! At least for a synth 'sample player' the results are amazing and stand out. on the other hand do not expect a Analog Modeling Synths: the is not the purpose! For the overall sound of the machine is rather 'cold' for EMU ... rather not say 'digital' but this is not a fault per se, just a characteristic of the machine and on the ground allows for example a texture changing nicknames analog synths! 9a is 4 years that I use and it is an attractive machine. All prods do not appeal but it makes me proud when I use services. If you have high ambient or electronic music 'trippant' is a purchase that I recommend if you are in need of cloths and sequences 'chelous' on the move and never be too aggressive! I will not rpter which mentioned prcedemment t adj. 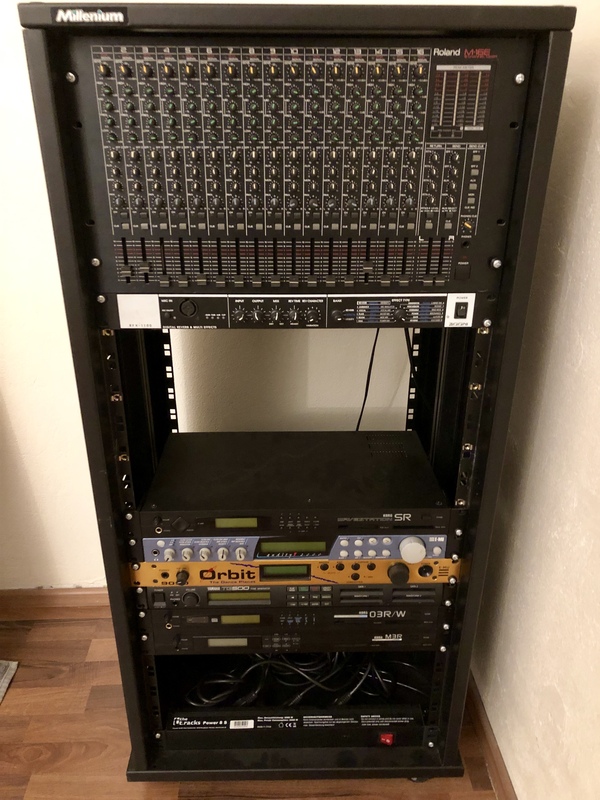 It is a rack with lots of sounds and possibilities standards ditions. And what does not gte is that it is extremely easy to use as well extrment pens! Sounds sounds rpart genre, going from one another via a large knob enjoyable. The ease altration sounds (rsonnance, attack etc. ..) is it using the touch knobs 5 enjoyable. Its strength: a arpgiateur dmentiel! I have no Mac or PC editor, but frankly, the machine does not need it as the rack is Designed. The collection's outdoor appearance exudes solidity. Simplicity and efficiency are the words that could describe the Audity 2000. Despite the many possibilities of the machine, the manual is actually not necessary; thundering! An impressive array especially when bte contains an expansion card supplmentaire! 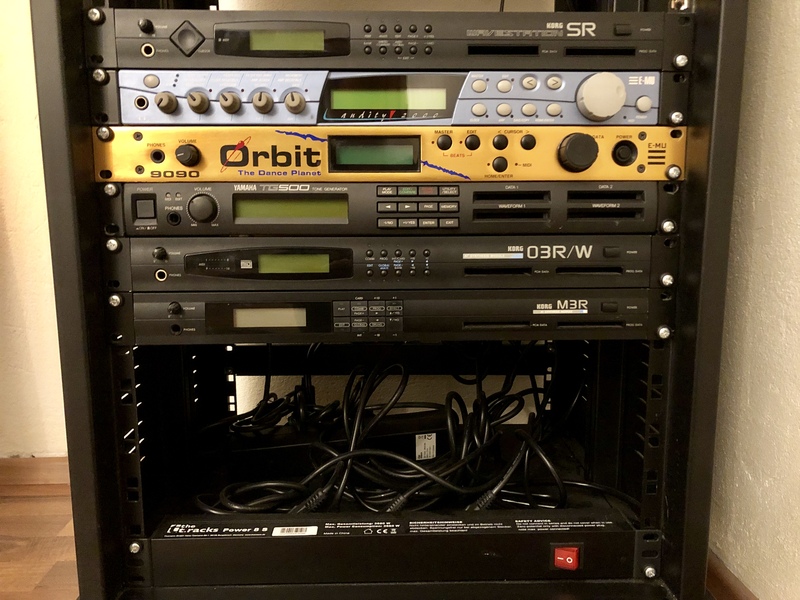 I have a Supernova, a virus XL and some others but still expander and, ultimately, I find myself always Fully my songs with it. I read somewhere that sounds n'taient not aggressive ... Wrong! I personally am of the oldschool / EBM and I can say is that serious! Excellent machine underestimates, few people use it and can therefore boast the MRIT. Good for those of acqurir ® religion: its rating is ridiculous! I saw an ad o it silent for sale 200 euros silent and still in its original bote .... frankly ridiculous! It would offer me 1000 euros ... I would sell the same not to say it! 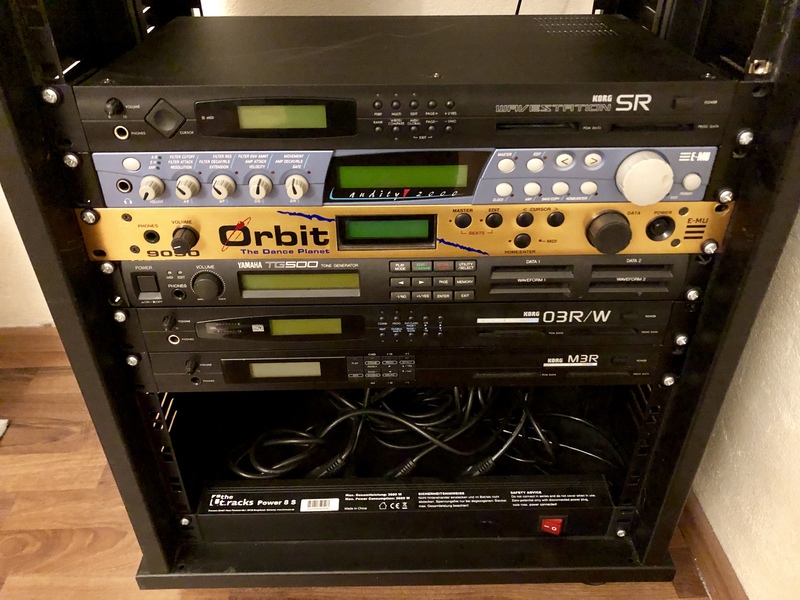 JMJ75's review (This content has been automatically translated from French)" well"
Good if you are not connected techno trance etc. ... go your way. At that time they said "new music" now we say sounds very violent nostalgia very fat! I must say I still stuck with arpeggios and then he proposes a well to clean it unnecessary to look you will not find elsewhere. It is an EMU and that's it. I coupled to a newt and a XF7 is just great nothing to say! I'm having with it!! level creation with its knobs is unlimited!! Basically you love retro sounds good that you can grind your way (my way) you will be happy especially for techno and trance sounds nostalgic for the Jean Michel Jarre you'll be delighted!! I love me! but coupled with a good synth.